Carmen has made a flying start to the New Year with her painting ‘Silence in the Landscape’ being selected for The Touring Exhibition of the 2014 Queensland Regional Art Awards, a Flying Arts Alliance Inc initiative. Carmen and I were able to attend the opening at the Judith Wright Centre, Brisbane early this month, where Carmen’s painting along with several others sold at the conclusion of the opening, topping off a great weekend. Curator Dr Lisa Chandler, University of the Sunshine Coast preceded the opening with a lecture and this was followed by an opening speech by the Governor Paul de Jersey, AC,QC. Congratulations to all the artists who had work selected. 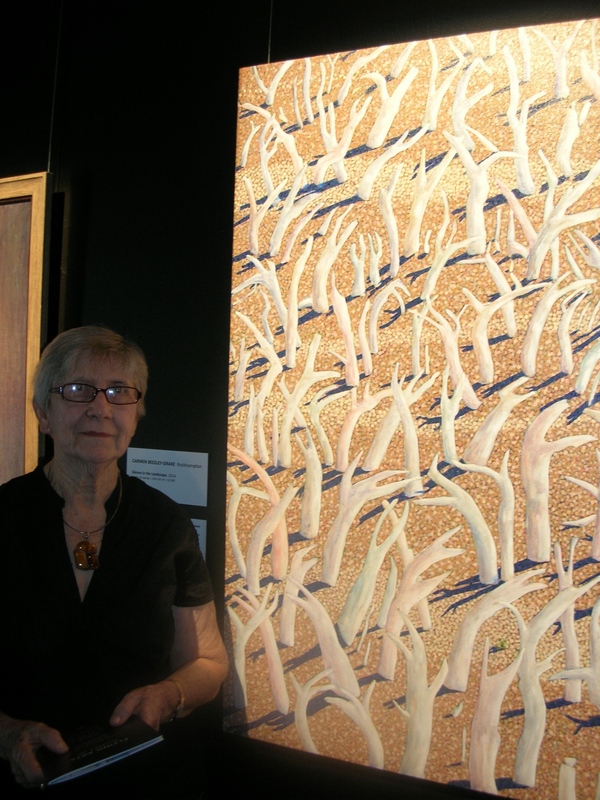 If you are in Brisbane, the exhibition will be at the Judith Wright Centre until 28th February 2015. The exhibition will then be travelling to Atherton (31st March – 3rd May), Texas (19th May – 26th June), Chinchilla (10th July – 1st October) and concluding it’s travels ain Hinchinbrook (20th November – 9 January 2016).